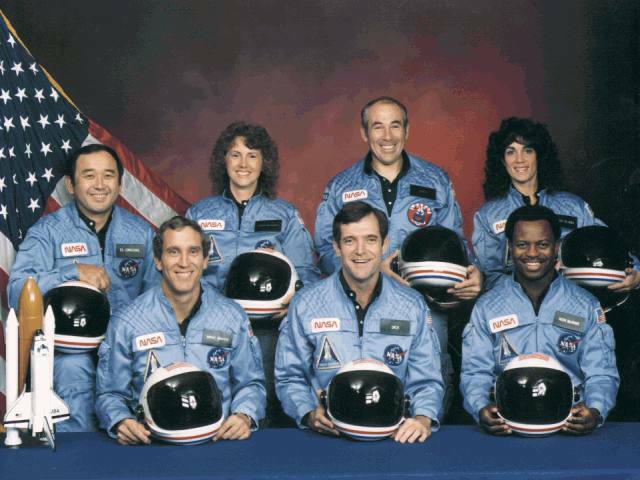 Where were you on January 28, 1986 -- the day the space shuttle Challenger exploded? JenX67 from are you there God? it's me, Generation X asked that question of Gen-Xers from all around the country, and put together a blog post with their responses. I eventually became a television reporter and producer, and often thought of that gut-wrenching footage as a reminder that every news story I reported was so much more than a story – it had a significant, often life-changing impact on the people involved. I’ve always tried to remember that. What are your memories from that terrible day? I was in fourth grade and most of my small school was in the gym watching on the rolling-cart TV. I remember being completely shocked and scared when it happened, and teachers and students crying. It was a really sad day. I was in 5th grade, but was home sick from school. I remember being really irritated they cut into The Price is Right and pre-empted The Young and the Restless. I was in college, and I was getting breakfast that morning after an early class when I overheard two airhead-y girls saying, "Did you hear, like, the space shuttle blew up or something? Oh my gawd!" Assuming they had no idea what they were talking about, I got my breakfast and didn't think any more about it. Then I went back to my dorm room, where my roommate and some of our friends were sitting around the TV, ashen. "The space shuttle blew up," one announced solemnly. 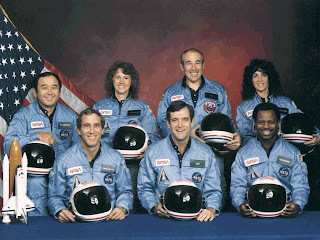 From then on we were glued to the TV, hoping that news would come that, by some miracle, some of the astronauts had survived. I had classes later that day, but no one, including the professors, was in the mood for business as usual. I lived near Daytona Beach, Florida, and grew up accustomed to viewing launches outside (conditions permitting), their billowing white plumes rising from the distant horizon to the south. Likewise, we grew accustomed to the sonorous sonic booms that announced the landing of a shuttle at the cape. I was in junior high school and was eating lunch outside. Trees or something blocked any possible view of the launch from the lunch yard, but I remember all of a sudden seeing the yard clear as everyone in it rushed to the windows of the surrounding classrooms (it was customary for classes to watch launches live on TV). I had no idea what was going on, and couldn't get close enough to the windows to see what the commotion was about. Slowly, word of mouth conveyed the news through the crowd of students. Every face portrayed shock and/or disbelief. The remainder of that school day and all of the next were spent either watching news coverage or discussing the tragedy.